Radiant Expressions Dental is a leading provider of dental implants in Sunrise, Florida. Our dentists are highly experienced, dedicated dental surgery professionals that sincerely care about the well-being of our patients. When you get your dental implants from our practice, we will put you at ease from the start, and we can say with confidence that the finished result will change your life. Sunrise has a very unique history as the brainchild of a visionary named Norman Johnson. He incorporated the city in 1961, but the only problem was, there was next-to-no-one there. For marketing purposes, he teamed up with a partner and they built a house that was completely upside down. It was featured in major magazines, and it attracted people that wanted to see it, and many who made the trek decided to call the new development home. We know the city well, and we have provided dental implants for many locals over the years. Simply put, for dental implants in Sunrise, Florida, Radiant Expressions Dental is the right choice. If you are a denture wearer, there are a number different challenges that present themselves on a daily basis. It can be hard to eat your favorite foods, and you may never be able to smile with full confidence. Plus, you have to deal with denture adhesives and go through a nightly cleaning ritual. Up until recently, the only alternative was a full set of individual dental implants. However, the All-on-Four Implants Sunrise, FL residents can obtain from us have really changed the playing field. When you take advantage of All-on-Four technology, you will never have to wear dentures again. The basic principle is the same as it is for standard dental implants. Four titanium screws are embedded in your jawbone to serve the same function as natural roots. A full set of temporary teeth can then be attached to the implants. The Four-on-One system can be used on the upper teeth, the lower teeth, or both. Believe it or not, when you get these dental implants from one of our Sunrise, Florida dental surgery specialists, you can leave on the very same day with a brand-new smile. As we stated, the original teeth are temporary, and permanent ones are put in place after the implants have fully fused with the bone. 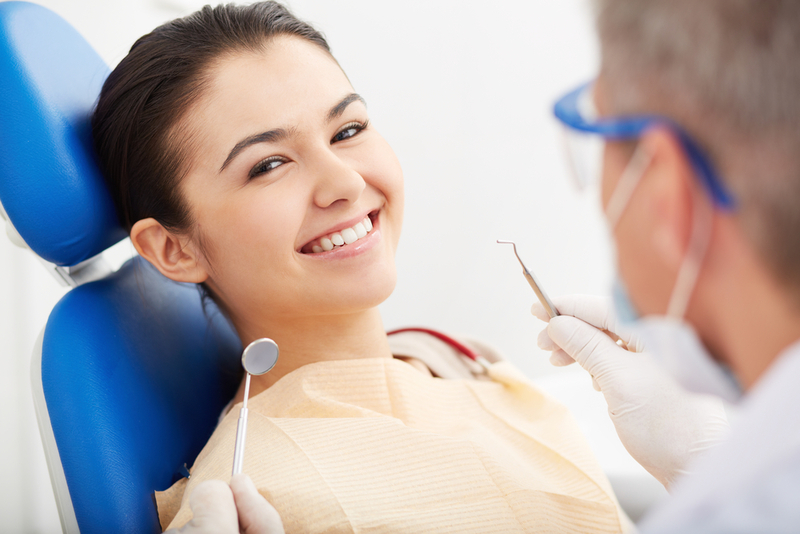 We are here to help if you need one dental implant, a few, or Four-in-One implants in Sunrise, Florida. You can send us a message to request an appointment or give us a call at 954-589-0292. Check out our All on Four Implants Page for more information. Radiant Expressions Dental would like to invite you to a state of art dentist office caring practice, that performs all aspects of dentistry in a comfortable, warm and welcoming environment. With our advanced technology; our philosophy is to give you a beautiful and confident smile that you could be proud of for more years to come.